Because it’s home to our international airport, South Sydney is usually the first area that visitors witness and almost every single one of them is delighted by what they see. You’re probably very proud to live in this beautiful part of the city, and you might keep your home in top condition as to impress guests and ensure it remains a fantastic place in which to relax after a busy day at the office. Unfortunately, you never know when you might return home to discover a small problem, such as finding the Internet doesn’t work. 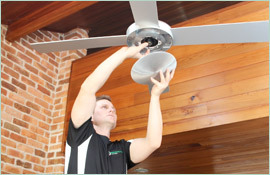 However, more severe problems, such as a malfunctioning AC unit or a broken freezer, can be even more frustrating and usually require immediate attention from a qualified electrician in South Sydney. 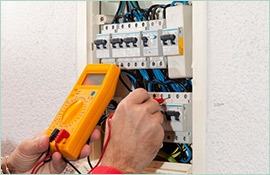 You’ll be glad to know that experienced electricians can diagnose the cause of most home electrical issues in under an hour, and we can fix minor problems safely and quickly. You simply can’t live for more than 24 hours with essential amenities like your AC unit, freezer and hot water, which is why it’s a wise idea to call an electrician in South Sydney as soon as you notice the problem. 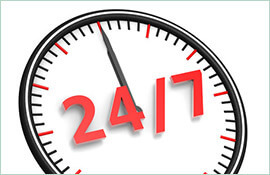 Generally speaking, the earlier the issue is detected, the faster the repairs can be completed, and there are no better electricians to call for repairs than ours. 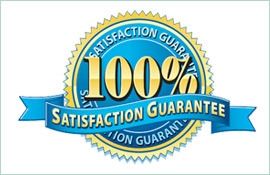 At Paul’s Electrical Services, we’ve proudly served the wider Sydney area for over 20 years and forged lasting relationships with our customers. If you want an electrician in South Sydney that offers absolute professionalism and a friendly customer service, we’re here to help you.